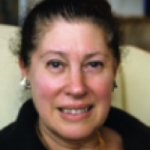 Retired President & Senior Portfolio Manager​ at W. P Stewart & Co., Inc.
Marilyn G. Breslow was President, and Senior Portfolio Manager of W. P Stewart & Co., Inc., an investment advisory firm in New York City, where she worked from 1990 until May 2005. She was also the Manager and Director of their U.S. Mutual Fund. She worked extensively in the Netherlands and Austria, where she was the Manager of two mutual funds for Spaengler Bank. She was a General Partner of Concord Partners, the venture capital division of Dillon, Read & Co., from 1984 to 1990, and was also a Vice President of that investment bank. Prior to Dillon, Read & Co., she was Director of Worldwide Marketing Services at Polaroid Corporation in Boston, and was a management consultant and General Partner at ICF, Inc., and Peat, Marwick, Mitchell & Co., Inc. in Washington D.C.
She has been a member of the M.I.T. Council for the Arts since 1997 and a Trustee of The Nature Conservancy since May, 2005. She was a Director of Alteon, Inc., a public biotechnology company, from 1988 until 2008. Ms. Breslow received her BS degree from Barnard College, and her MBA from the Harvard Graduate School of Business Administration. She is married to Dr. Jan L. Breslow, Frederick Henry Leonhardt Professor at The Rockefeller University and a senior physician at The Rockefeller University Hospital, where he heads the Laboratory of Biochemical Genetics and Metabolism. The Breslows have two sons, Noah and Nicholas Breslow.